Our convening initiatives bring together public, private, and civil society stakeholders to help create broader awareness, trigger actions, and build momentum. During these discussions, stakeholders identify and agree on priorities and activities, and forge trust-based partnerships based on a shared commitment to transforming the water sector. 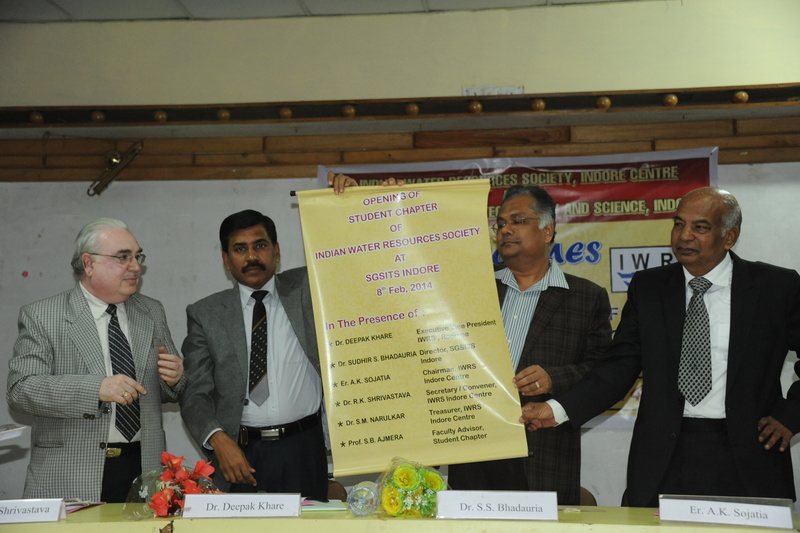 Inaugurated on March 27, 2014 at IIT Roorkee. 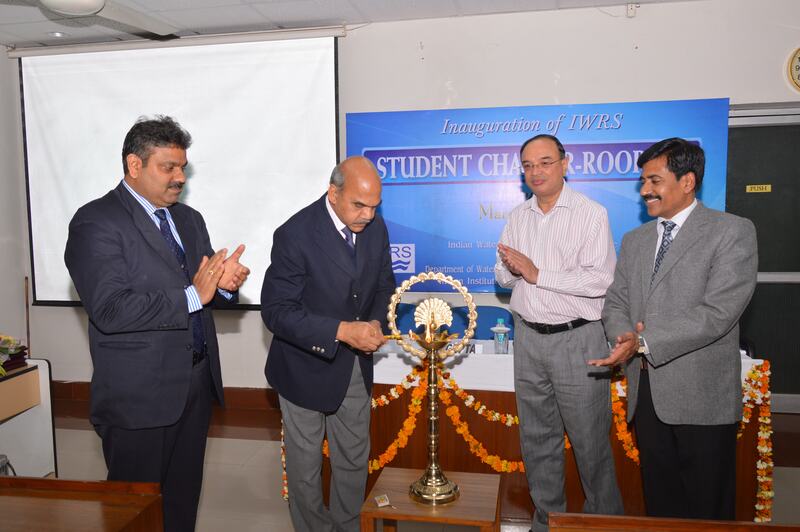 Inaugurated on February 14, 2014 at SGSITS Indore. 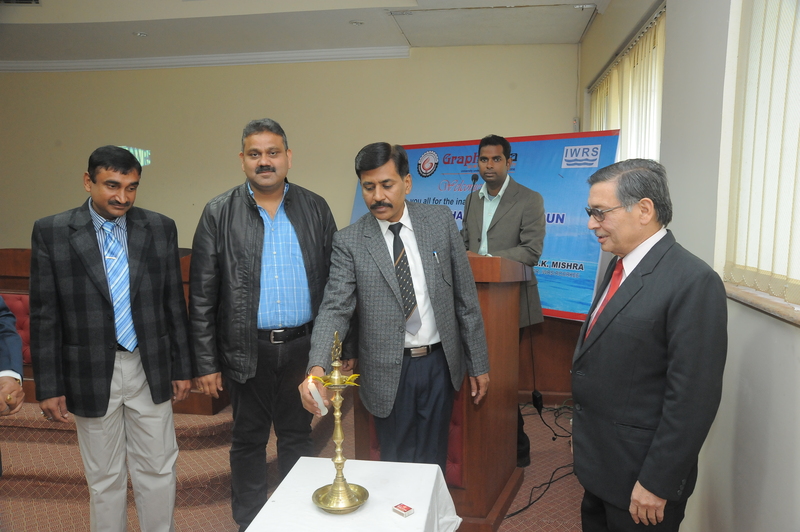 Inaugurated on March 27, 2014 at Graphic Era University, Dehradun. 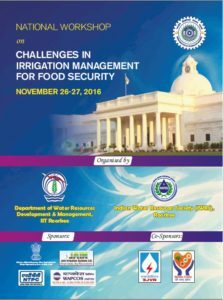 Challenges in Irrigation Management For Food Security. 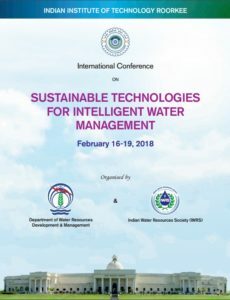 International Conference on Sustainable Technologies for Intelligent Water Management. 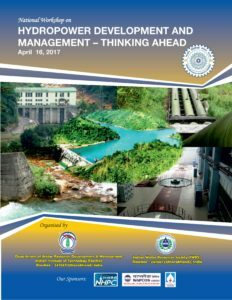 Acting as a think-tank, IWRS organizes seminars, discussions and public lectures to discuss technology issues, policy issues, generate new ideas, and take forward the strategic planning in water sector. Recent rise in indiscriminate activism, and the misinformation campaign unleashed by the activists, has forced IWRS to takeup the issues with activists and NGOs in a debate mode, and speak up in defense of the scientific, and correct position. When in doubt about some seemingly controversial issue, people refer to IWRS publications and website, to know the correct position. To disseminate the knowledge, IWRS regularly brings out publications . These include a Journal to address the technical issues; a News Letter to address policy issues and news; and a Theme Paper on 22 March every year. This is a well researched document on a specific topic, and serves as a valuable reference material. In addition to these regular publications, IWRS also brings out every year several monographs on various topics. All publications 2003 onwards are available at the IWRS website. Past publications are also being converted to electronic format, and will be added to the website. Print issues are available only to members. See Publications page for more details. Click here to add your email address to the IWRS database, to receive IWRS publications in your mailbox. On 22 March, the IWRS, through its Delhi Center, organizes the function for the World Water Day, which also serves as the inaugural function for the Water Resources Day. This function is organized at a public place and is open to all. Padmabhushan Dr. Kanwar Sain was one of the most illustrious water resources engineers of modern India. A graduate of Thompson Engineering college of Roorkee , now Roorkee IIT, he worked for almost 40 years in the water sector and rose to become Chairman of the CW&PC. He was associated with all the major projects taken up during this era but is most remembered for his work on the IGNP and Mekong International River Commission in Thailand as a UN Expert. During his long an illustrious career he was decorated with several honours, most notable amongst them the O.B.E. and the Padma Bhushan. In his memory, IWRS-DC organizes a “Kanwar Sain Memorial Lecture” every year. The lectures delivered over the years also make a rich repertoire of analysis and thought provoking ideas. A special feature of Kanwar Sain Memorial lectures is, IWRS frequently invites a speaker who is not a water engineer and represents, so to say, the “other side”. IWRS is perhaps the only NGO that provides their own platform for the contrary view also.